SpiceJet sale offer: Last date to book tickets to avail the offer is October 28 and the travel period starts from November 8, 2018 to March 31, 2019. SpiceJet sale offer: The sale has limited inventory and is available on first come first served basis. Ahead of Diwali, SpiceJet is offering domestic flight tickets at a starting all-inclusive price of Rs 888 under its special 'Festive Season Sale', said the airline on microblogging website Twitter. The offer comes amid high-competition in the country's civil aviation market where other airlines are also offering discounts to attract customers. The last date to book flight tickets to avail the offer is October 28, 2018. The travel period of the offer starts from November 8, 2018 and ends on March 31, 2019, the carrier added. Your festive season just got a lot spicier! SpiceJet presents the ‘Festive Season Sale'. Domestic air-fares starting at Rs 888/-* all inclusive. Let the celebrations begin! 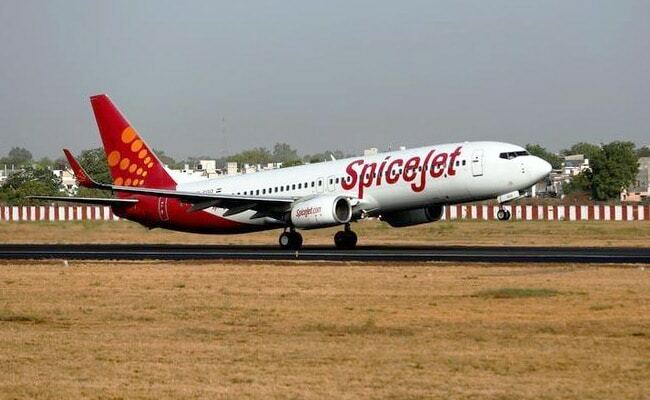 However, the sale has limited inventory and is available on first come first served basis, said SpiceJet. Earlier this week, IndiGo announced flight tickets priced from an all-inclusive Rs. 899 in a three-day sale. IndiGo's "Diwali special sale" is open till October 26, said the airline in a statement. IndiGo said it is offering 10 lakh seats under the Diwali sale. Recently, Jet Airways announced the commencement of daily direct flight services from Pune to Singapore starting December 1, 2018. To celebrate the launch of the new flight, the airline has announced special return economy fares from Pune, starting at Rs. 23,999, and premiere fares starting at Rs. 66,999. The country's aviation sector is expected to become the world's third-largest by 2025, with passenger numbers increasing six-fold over the past decade, according to news agency AFP. Domestic airlines carried 913.95 lakh passengers in the first eight months of the current calendar year, as against 754.11 lakh in the corresponding period a year ago - a year-on-year increase of 21.20 per cent, according to data from aviation regulator DGCA or Directorate General of Civil Aviation.